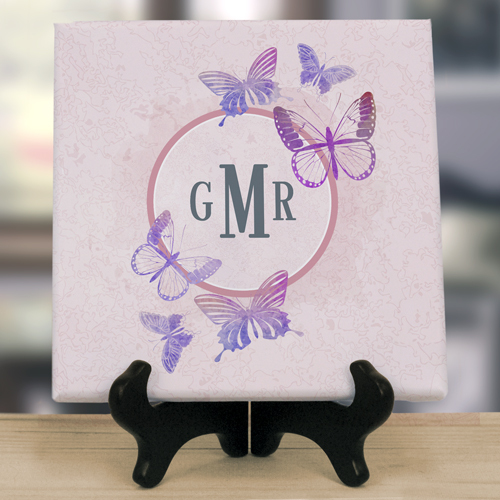 She will love this beautiful Monogrammed Butterflies Tabletop Canvas to add a special personalized touch to her home this Spring. We will custom create one of these Mom Plaques with this pretty pastel monogram design with any first, middle, and last initial to create a lovely personalized Spring gift. Any lady will love this canvas to display on a wall, with or without frame, or on an easel for table top display. 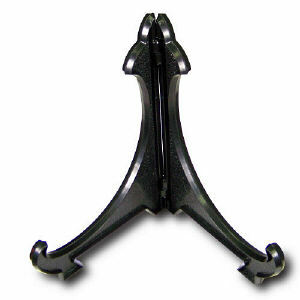 Add an easel (sold separately) to make this beautiful piece complete. *Please Note: First initial will be on the left, middle initial will be on the right, last initial will be larger in the middle of the personalization.